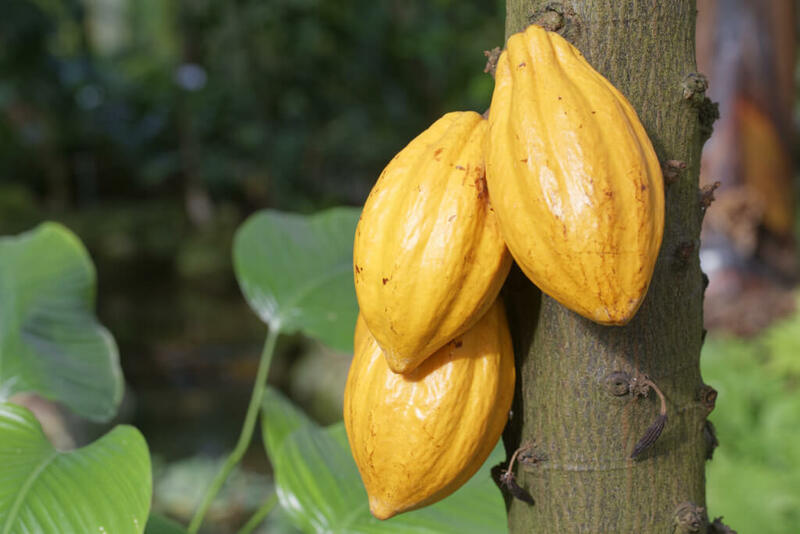 Cacao trees are native to the deep tropical forests of Central and South America. These trees produce beautiful whitish-pink flowers directly on the trunk which are then followed by cocoa pods which ripen from green to yellow. Inside of these pods are 20-60 cocoa seeds or beans embedded in a white pulp. These beans are the main ingredient in chocolate, coco powder, cocoa nibs, chocolate liqueur, chocolate creams and other sweets. There are so many health benefits associated with consuming cacao that we highly recommend giving this tree a try at home! These trees are highly tropical and require protection from frost. We recommend planting these in containers on the patio where they can be protected from the intense sun and freezing temperatures.